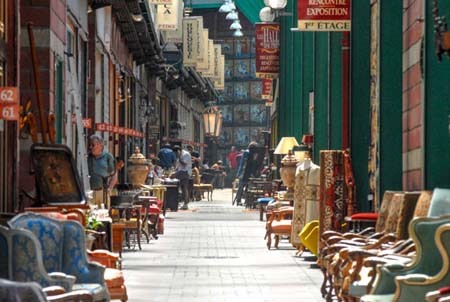 Opened in 1991, Dauphine market is one of the biggest Flea Market in Saint Ouen. You’ll find a selection of really high quality furniture and objects from 17th and 18th century as well as a lot of curio from 19th and 20th century. It’s also where the “bouquinistes” – those typically Parisian booksellers – and art restorers are.